Jim has worked in the area from late 2000 and quickly established himself as a respected agent. As a local resident Jim has a sound knowledge of the area, a good understanding of his clients needs and will always make time to have a chat about any real estate issues you may have. Jim shows great enthusiasm in all he does and his excellent customer service skills have helped him achieve a high recognition in the real estate industry. The level of service that he gives his clients is second to none and he believes in getting it right the first time around. He feels that the key to succeeding in real estate is time management. He believes that apart from honesty and good ethics in the industry, you need to have a good sense of humor to be able to last in real estate. Jim also shows a great deal of empathy when dealing with all his clients. Jim’s interests include traveling and sport. His main passion is for soccer, and has played and coached in Australia and overseas which he will speak to anybody about it in great lengths. Jim is a committed and valuable member of the Harcourts team and is always on hand to talk about real estate issues that you may have. As a lifetime resident of the Dandenong Ranges and having owned and operated a business within the hills, dawn is very aware of the importance of customer service. Dawn is committed to ensuring that the client’s needs are given priority from the moment of listing a property through to the selling and delivering the best possible result to her client. Her honest committed approach, enthusiasm and friendly personality ensures a strong relationship with both vendors and buyers and results in them referring her to their family and friends. Dawn’s love of real estate, extensive local knowledge, meeting new people and introducing them to the benefits of living in the hills, believing that there is no other place quite like the Dandenong Ranges where each property is individual and unique. Melissa joined us in October 2017 as our receptionist. She is the first smiling face you will see when walking through the door and the friendly voice that answers your phone calls. Melissa brings 5 years of customer service skills and always aims to give you the best possible experience in our office. 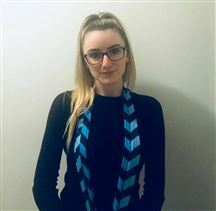 In July 2018 she received Administrator of the Quarter for Harcourts. Since working here she has developed a keen interest in real estate and hopes to join the sales team very soon. Although she lives 30 minutes away Melissa quickly fell in love with the area, often driving through the hills on her days off and is a frequent visitor to the local cafes. Under Offer - Ripe for Revamp! A Home to come home to! Wait Till I'm Spruced Up!